Green Team Gazette: Bill Nye is Coming Back to a Netflix Near You! Bill Nye & Netflix are just about to become the newest, modern day Reese's Peanut Butter Cup: 2 great tastes that taste great together. Fondly known as "Bill Nye the Science Guy" from his kid-friendly, fact-based science shows of the '90s, Bill Nye is someone people have looked to through the ages on knowing "what's what" when it comes to scientific information. 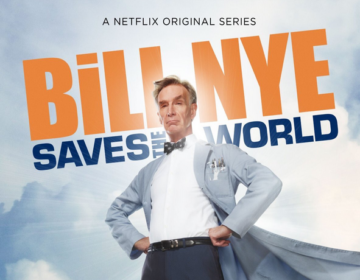 His new show, "Bill Nye Saves the World" is going to be more talk show with other science experts than his shows from the past. 13 episodes are set to go for debunking science deniers--whether that's climate change or countering everyday "alternative facts" that are popping up as science data from the White House website, as well as EPA & USDA data is getting buried in the new presidential administration. Yet given all of that, the show was in the creative works prior to the final 2016 election, and plans to be more factual than political... it just so happens that 2017 happens to be the year of "alternative facts" and "fake news." 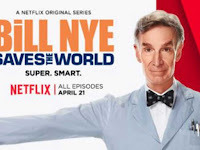 Here are two videos giving you sneak peaks into the new Netflix world of Bill Nye--one more informative while the other is a true trailer. New York Times: "In an Age of Alternative Facts, Bill Nye’s New Show Brings Real Ones"
Mother Nature Network: "How Bill Nye Will Rescue Us With Science"